Ludwig Oechslin’s favorite occupation is thinking up new concepts. He meditates on new functions, practical displays, straightforward construction methods and surfaces that are always just that little bit different. 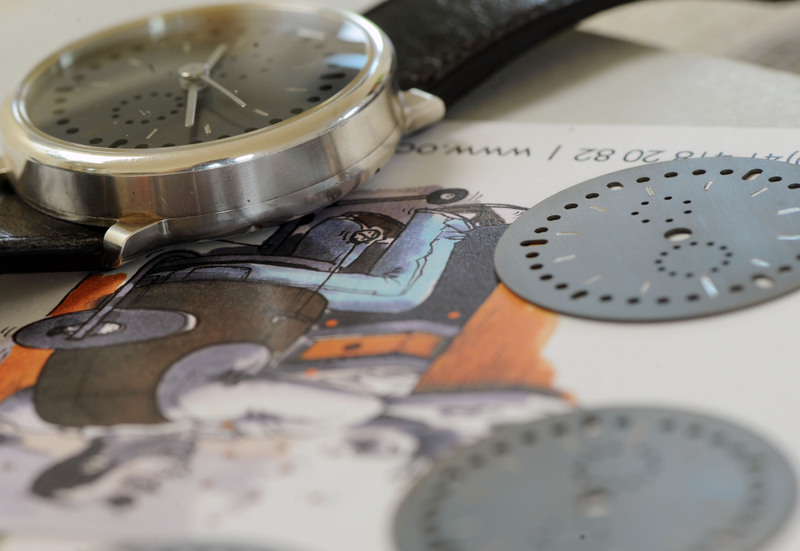 Concepts imbued with that degree of perfection that Ludwig finds just right. The individual charm of the hand-made that, no matter how much care is taken, allows for a degree of chance and the opportunity for surprise. That’s the perfection he strives for – the famous 95 per cent. 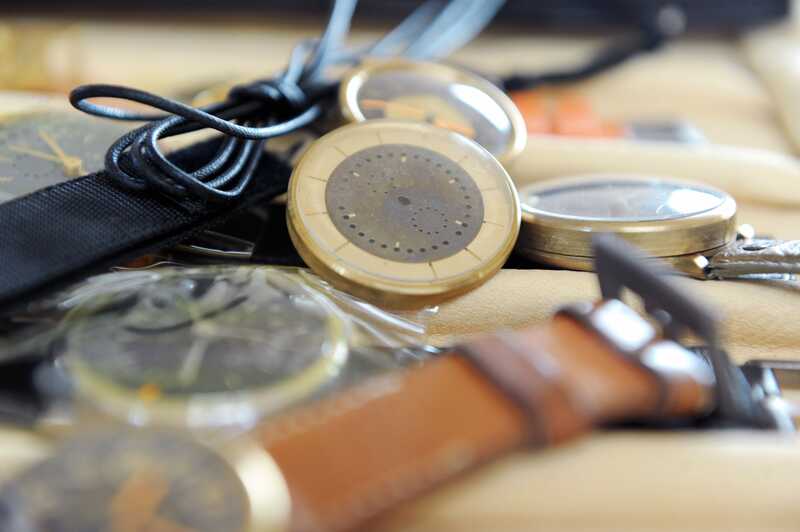 At nights in his workshop, when he lets his thoughts turn into timepieces, he uses the materials and techniques which happen to be to hand. That was the case with that little bottle of acid he had obtained from our friend, Beat Haldimann. He used it to patinate some brass. 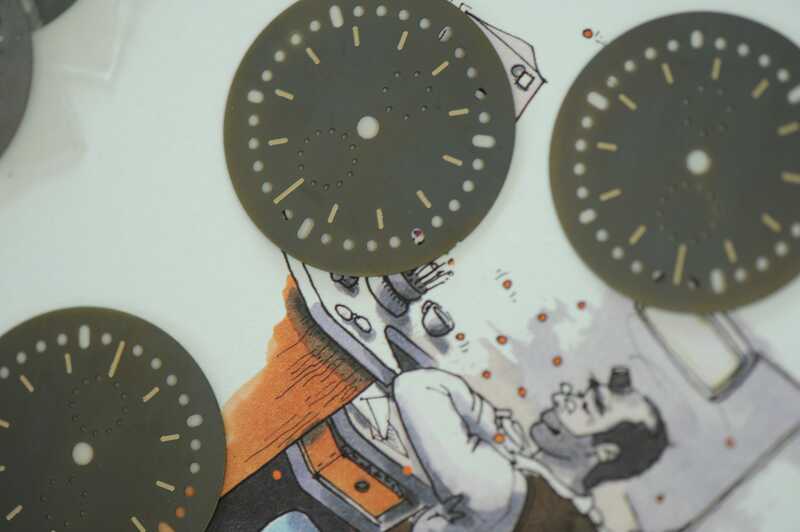 It produced a dark grey surface – which gave him the idea for his dials, each one of which is a unique miniature work of art. No two are alike. Little differences in colour… and there – was a little more acid used around the edge? It goes without saying that the use of acid was restricted to the experimental phase. We are keen to keep our environmental footprint as small as possible, which is why we use ecologically tanned leather. Moreover, gold is a far more romantic metal than brass. So Ludwig switched to gold – and got himself an enamelling oven! 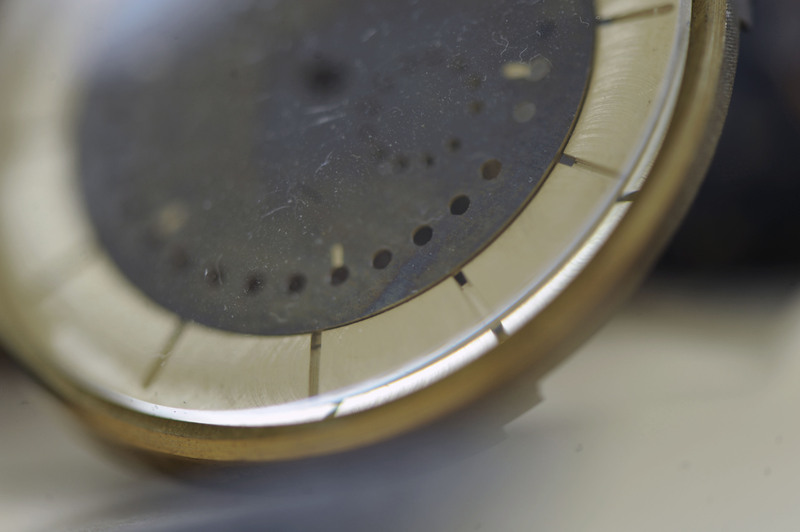 So long as the dial is still flat enough after the heating process, Ludwig mills the twelve indices out of the gold, a process that allows the original colour to emerge from the patinated surface. 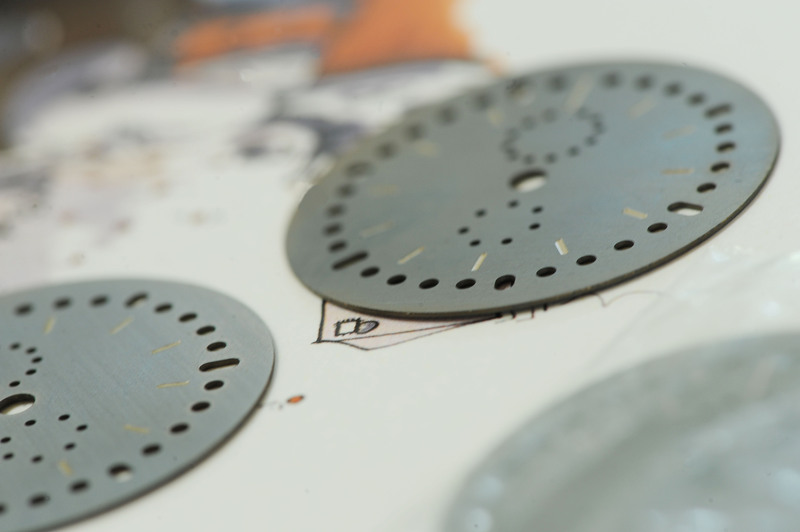 The dials then go to Paul Gerber, who sets them atop his bespoke self-winding movement sporting Ludwig’s three-component annual calendar mechanism. Paul then encloses all this in the silver, red gold or white gold cases. I wonder what Ludwig’s working on tonight?